Packaging shots revealed for Tidepool and Blaster-Tron. Releasing in May alongside Ro Bow Adventure Pack? Wave 4 of Skylanders Imaginators is imminent, and we now have our first look at some of the product packaging coming for these figures. Thanks to twitter follower @VG_Figures, we get our first look at the Easter variant Egg Bomber Air Strike packaging. Alongside the figure, you’ll also spot Grave Clobber, a sign that Wave 4 is coming any day. 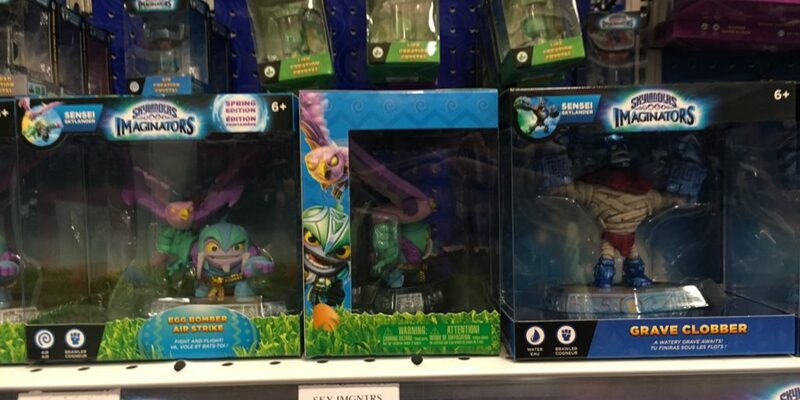 Per previous reporting by my friend Matt over at SkylandersCharacterList, the easter variants were shown to have a 2/27 release date, though that may have changed. So keep an eye out over the next few days! Remember to follow me on Facebook and Twitter to stay up-to-date on all your Skylanders news! Skylanders Inquirer Copyright © 2019.